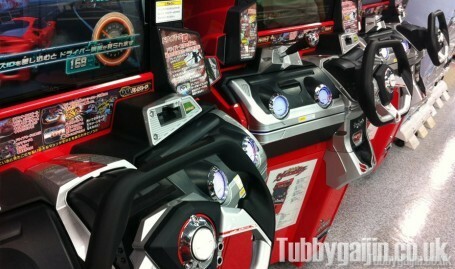 Chousoku Henkei Gyrozetter is a new arcade game from Square Enix, released on June 21 2012. It’s a racing title featuring a lots of licensed Japanese cars which tasks you with zooming along a fixed section of motorway, collecting booster pickups along the way. But there’s a little more to it than that… just watch. Oh yes. Once your racing section is over, you’re joined by your two support vehicles and instructed to fling your steering wheel skyward, resulting in your cars transforming into a mecha ready to do battle against another team of three! Not only that, but the arcade cabinet transforms too, revealing 4 trigger handles. From here the game turns into a turn based fighter, with you choosing moves for your mecha using different combinations of the handles – some require quicktime events to complete. To me, this signifies everything arcade gaming should be, a ridiculously fun concept, mashing 2 gaming styles together, and a insane control setup that could never be replicated at home. 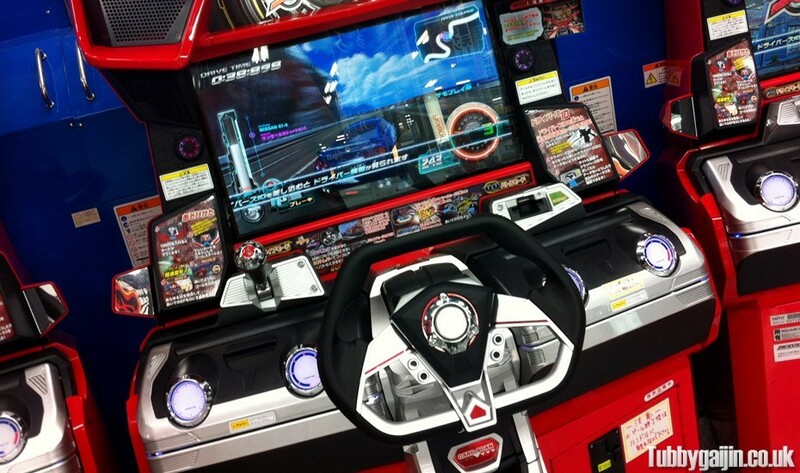 Arcades are dying back in the UK, but here in Japan, they’re thriving! 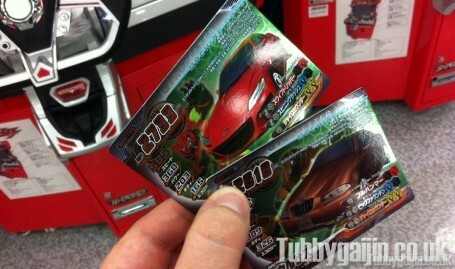 A game will cost you 100yen, and you’ll receive a new vehicle card each time, these are used to select which three cars to take into battle by placing them in a reader below the steering wheel. If you get a chance, check this game out – it’s crazy fun!